Simply turn the knob and the tape is cut and applied to a star wheel for easy removal. 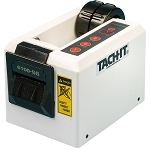 Dispenses and cuts a fixed 1 1/2 inch length of tape. 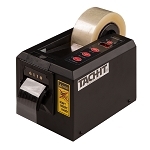 Works with 1 roll of tape up to 1 1/2 inch wide or 2 rolls of tape up to 3/4 inch wide each. Perfect for gift wrapping, retail, and office applications. Makes a much more aesthetically pleasing package as the tape is consistent and clean cut. 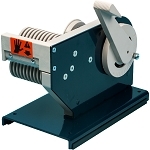 Has free mandrel on the side of the machine for 3/4 inch wide roll of tape that can be dispensed to any length. 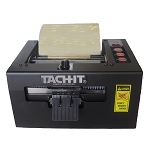 The Tach-It Model #5000 definite length tape dispenser is perfect for applications where a fixed 1 1/2 inch length of tape is needed. 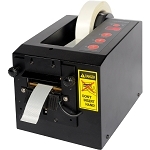 Usable with 1 roll of tape up to 1 1/2 inch wide roll or 2 individual rolls of tape up to 3/4 inch wide. 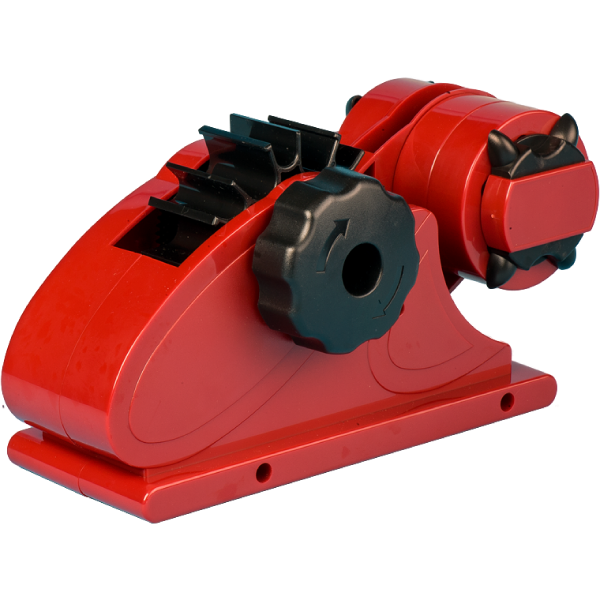 Simply turning the large knob the Model #5000 applies the tape to a star wheel for easy removal. 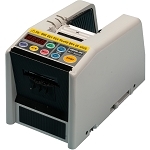 Perfect for gift wrap, retail, and industrial applications where a 1 1/2 long inch piece of tape is required, the Model #5000 also has a separate free mandrel for 3/4 inch tape allowing for random lengths.